We are seeing more and more disasters in Canada and we are not as immune to them as many Canadians may think. As believers, it is our responsibility to be “ready” to share the reason for our hope, especially when times are tough. And that can apply to anyone in our realm of influence. We will all face loss, illness, divorce, addictions, and everyday life traumatic events, but the question remains: ARE WE READY? Do we know what to say and what not to say? Do we know how to appropriately share God’s love in a way that will bring healing and restoration to those in need? Or are we going to stand back and be silent because we don’t know what to do? It is our duty as God’s ambassadors to “be” there for those we love most in their time of need. Learn more about training opportunities. Rapid Response Team chaplains are specially trained volunteers who respond to community-wide disasters or personal crises, serving as the hands and feet of Jesus to those who are struggling in the midst of difficult situations. 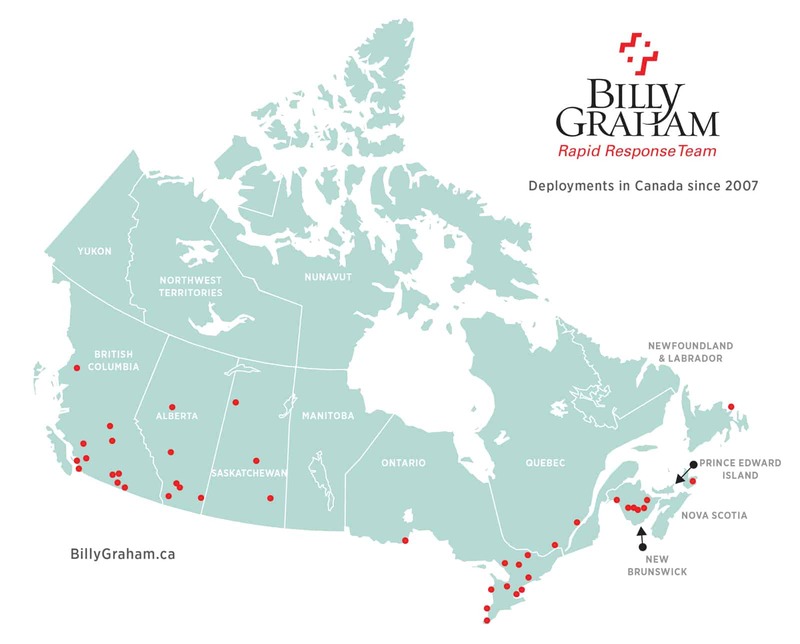 Our chaplains have been deployed to many hurting Canadian communities. Read a Decision magazine article about how RRT chaplains helped victims of the northern Alberta forest fires in 2016.